You will fully enjoy the beauty of scenes and hospitality of Vietnamese people by traveling from North to South with our 15 day tour. Start from Hanoi - the capital city of Vietnam, continue with Sapa - a typical Vietnamese remote area, Halong Bay - the place of caves and grottoes, Hoi An - a bustling commercial port in the past and nowadays an attractive tourist destination, Ho Chi Minh City - an exciting city and end up with the Mekong Delta - the prominent place of agriculture. You will have the most memorable moments so let get on the plane and enjoy! 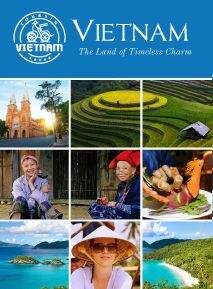 Welcome to Hanoi, the heart and also the capital of Vietnam, you will receive the warmest greeting from our guides. Take a transfer to the hotel for check-in (the rooms are at your disposal from 14:00). You will spend your free leisure in the city. In the evening, the guide will take you to a local restaurant for the welcome dinner. Drive back to your hotel. Overnight in Hanoi. This morning, your private guide will meet you at your hotel lobby to start the tour. We will spend whole day discovering Hanoi, the beautiful capital of Vietnam, by visiting the must – see places. Begin with Ho Chi Minh Complex, the most solemn place in Hanoi which includes the Ho Chi Minh Mausoleum (closed on Monday and Friday), the Ba Dinh Square, the Ho Chi Minh's House on Stilts and the One Pillar Pagoda. Then we will visit one of the museums (Vietnam Military History Museum, Hoa Lo Prison (“Hanoi Hilton” – a nick name given by US pilots during the war)). Lunch at local restaurant. In the afternoon, we head to the Temple of Literature - the first University of Vietnam and also the symbol of Vietnamese education. This 11th century temple was built to tribute the greatest teacher Confucius, Chu Van An and thousands of doctoral laureates. After enjoying the traditional water puppet show, walk around the Old Quarter of Hanoi with 36 interesting street names with your guide. Back to your hotel and free at leisure. Overnight in Hanoi. This morning, the guide will pick you up at 7.30AM at your hotel in Hanoi. Start about 5 hours and 30 mintutes scenic journey from Hanoi to Sapa Town. Arrive in Sapa at noon time. Have lunch at local restaurant. Start the trekking down to the South-west of Sapa (around 4 km) to visit Cat Cat village of the Black H’mong. Relax on the way. Continue trekking to Ma Tra village where we have chance to learn about the life styles and the custom of the red Dzao minority, enjoy landscapes…then drive back to Sapa. Free at leisure. Overnight in Sapa. Today, you will start 8 km trekking down to Lao Chai village of the H’mong, then walk through terraced rice fields to Ta Van village of the Dzay minority people. It gives you a worth chance for you to learn about the local house architecture which is full of their daily life styles and exclusive custom. Enjoy the landscapes…on the way back to Sapa. Enjoy lunch at local restaurant. In the afternoon, say goodbye to Sapa for a drive back to Hanoi. Arrive at your hotel in Hanoi in the evening. Overnight in Hanoi. fter breakfast at hotel, we will drive 3.5 hours through the lush scenery of Vietnam countryside to Halong Bay, enjoy the breathtaking beauty of the World's Natural Wonder. 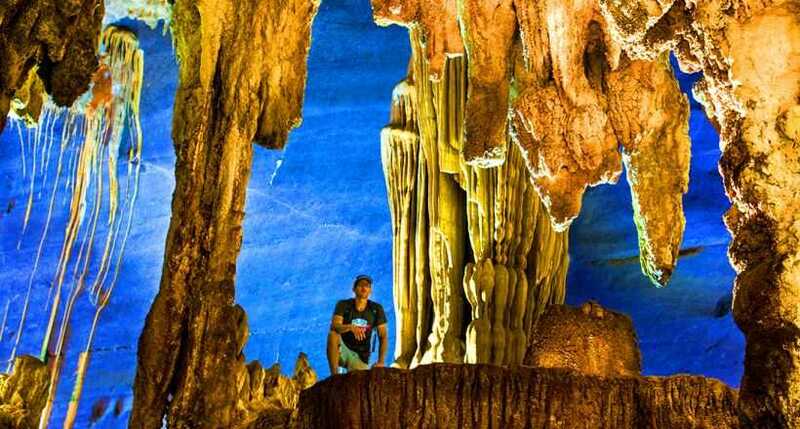 Continue explore Halong Bay in the morning before returning Hanoi, take the flight to Hue. In the morning, start your day with swimming, exercise or photo hunt and have breakfast at sunrise. Option: For those who do not fancy kayaking can visit TiTop Island to enjoy the panorama view of Halong Bay or just relax, swim at the beach. Head back to the Harbor. 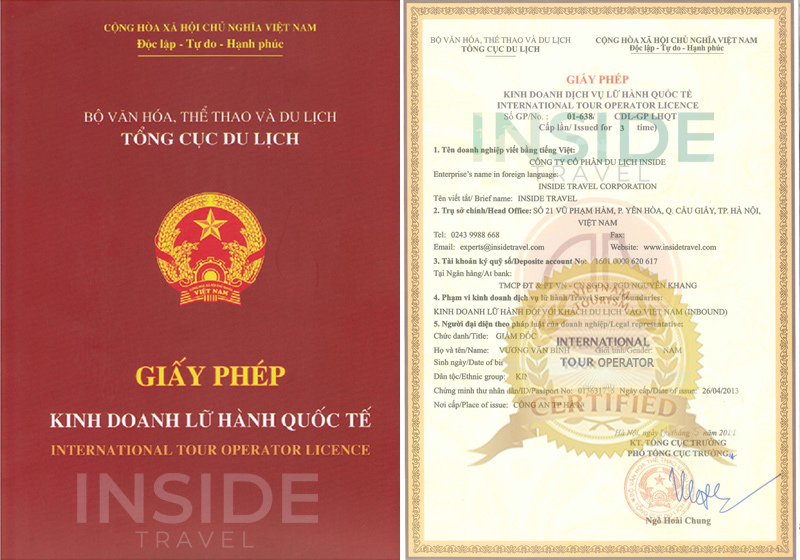 Transfer back to Hanoi for the airport and take the flight from Hanoi to Hue.Overnight in Hue. The first destination with former Imperial Citadel with the poetry of Perfume River. Spend your time to learn about History of Hue by visiting The Forbidden Purple City and Royal Fine Arts Museum. After visit and know about the Nguyen architecture, we will enjoy the poetry and romance of the Perfume River, stop to visit one of the most famous pagodas in Hue named as Thien Mu Pagoda. Tu Duc Tomb will be the last destination today. Lunch at local restaurant. Back to hotel in the afternoon and overnight in Hue. Head to the south, over the Hai Van Pass, we will arrive in Quang Nam province where boasts one of the most valuable places of Vietnam, Hoi An Ancient Town.In the past Hoi An was a busy commercial port where the traders around the world came and traded varying types of goods, from silk to ceramics. Some houses in the narrow streets are unchanged from the day they were built. We will follow the narrow lanes lined with centuries-old houses influenced by Chinese, Japanese, French and European architectures and visit its numerous places of interest: the 400-year old Japanese Covered Bridge, the Phuc Kien Assembly Halls, the local fish market … Around the town we can see a numerous art galleries and tailor shops, get some made-to-order clothes if you like. Overnight in Hoi An. This morning, spend a half day leisurely cycling though the scenic countryside of Vietnam, the noise of the city a distant memory. After passing through town and along quiet roads, you will come to Tra Que vegetable village - About 150 farmers and 400 owners live here and cultivate about 20 types of vegetables and herbs including mint, lettuce, basil, cilantro, broccoli among others. More than 40 hectares of land and 8 tons of Tra Que vegetables are sold every year. The vegetable growers do not use pesticides or GMOs, instead they rely on a seaweed that is found in the local river that is harvested by boat every morning. At Tra Que village you will be warmly welcomed by the host and his family – a 3 generation with a refreshing 'basil juice, and after your welcome drink you can stroll through the village and meet local people who work in the garden. The local farmers will teach you their cultivation methods, and how to protect developing vegetables from the insects. You will also join the farmers in gardening activities such as raking the ground, sowing, watering greens, transplanting, and tending greens. After working on the farm you can relax by soaking your feet in a local herbal remedy, as well as Chinese traditional medicine to reduce your aches and pains. Your next adventure is to prepare lunch with a local family. 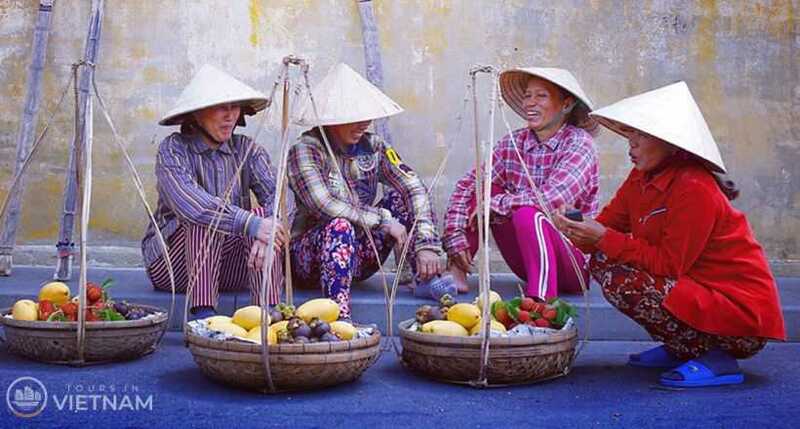 You will learn how to make 'Tam Huu' spring roll and 'BanhXeo' pancake, which you will then be able to enjoy along with other local Vietnamese delicacies. After lunch you will be able to rest before returning to your hotel. Overnight in Hoi An. This moring, say goodbye to Hoi An and the middle area of the country as well, we will move to the south with the must - visit first stop, Ho Chi Minh City - the most crowded and exciting city with rapid economic growth rate and quickly become one of the most attractive tourist hub in the South Vietnam. You will spend your whole afternoon to be free on your own to walk around the downtown, and taste delicious dishes. Overnight in Ho Chi Minh City.